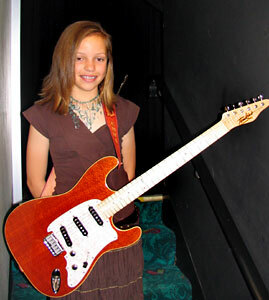 Emma has been a Tomkins fan since she first played one at the age of 9. She has been playing on Tomkins Guitar Showcases at Tamworth (West Leagues) and Sydney (Canterbury-Hurlstone Park RSL Club) for 3 years. 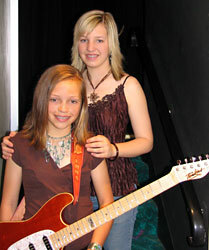 Emma is a regular local performer in Tamworth along with her sister Sarah (pictured below).